With Hon Hai-owned Foxconn currently welcoming inspectors representing the Fair Labour Association (FLA), the company today announced that it has raised wages for its Chinese workforce by as much as 25% from February, marking its third rise in two years. Foxconn, one of Apple’s key supply partners and maker of its iPhone and iPad products, had faced criticism over how it treated employees and an increasing number of suicides at its Chinese factories. However, it recently threw open its doors to the FLA as part of Apple’s “special voluntary audits of Apple’s final assembly suppliers,” including Foxconn’s factories in Shenzhen and Chengdu, China. Reuters reports that wages for Foxconn employees will rise by 16% — 25%, increasing the pay for a junior level worker in Shenzhen to 1,800 yuan ($290) per month and could be further raised above 2,200 yuan if the worker passed technical examinations. This marks a significant increase from 900 yuan three years ago. On February 13, labor rights experts began their first inspections of Foxconn facilities in Shenzhen (also known as Foxconn City). As part of the assessment, the Fair Labor Association says it will interview thousands of employees with regards to their working environment, checking on health and safety, pay, working hours and communication with management. 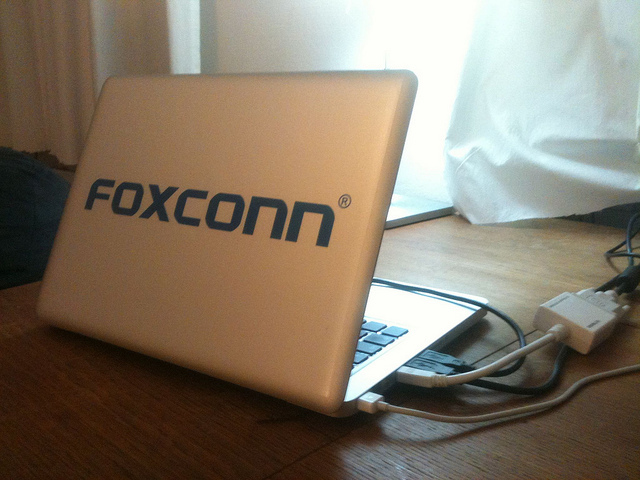 Early reports are encouraging for Apple and Foxconn. Auret van Heerden, the president of the organization, made an initial visit to the factories and found the working conditions to be far better than most other facilities in the country.